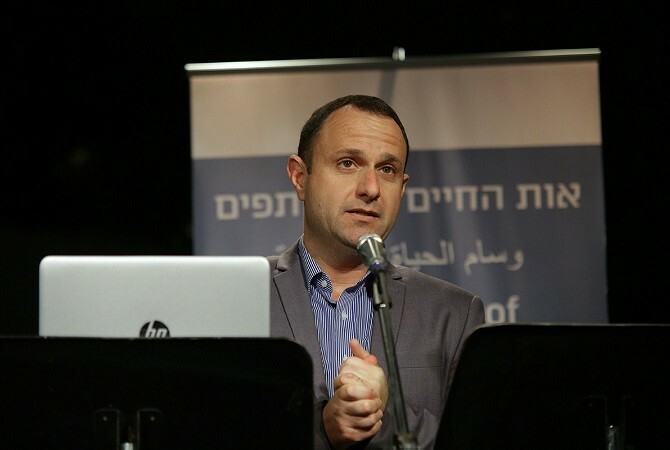 Broadcaster Eran Singer has received an award for contributing to coexistence between Jews and Arabs by providing “balanced” coverage of the Arab minority in his weekly radio program Marchabet. Both Singer and the show’s editor, Shoshana Furman, were among the five recipients of the “Champions of Shared Society Award” given by the Abraham Fund Initiatives (AFI) at a ceremony in Jaffa on Tuesday night. “The award is for those who made an active contribution to shared and equal life between Arab and Jewish citizens,” said Gal Zarbiv, spokeswoman for AFI. Other recipients were Education Ministry senior inspector Medhat Zahalka, Rachel Liel, former executive director of the New Israel Fund and Aiman Saif director of the Authority for the Economic Development of the Arab, Druse and Circassian Sectors in the Social Equality Ministry. Singer and Furman “brought the Arab story in an articulate and balanced way, exposing the Jewish public to aspects of Arab society not usually found in the media,” Zarbiv said. 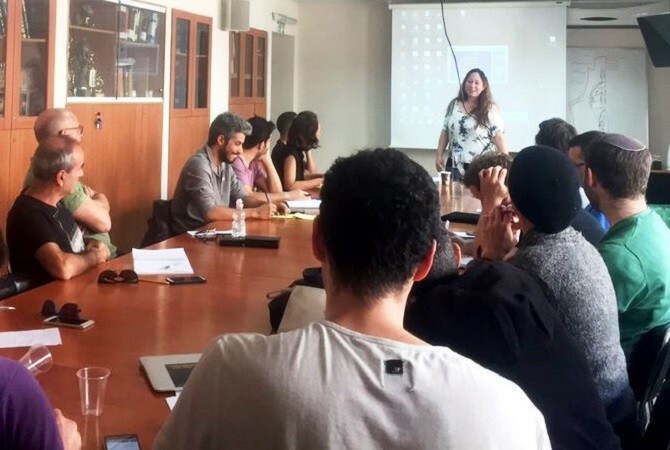 Both covered the problem of violence and crime in Arab society, not in terms of how it affects Jewish society but rather “as an inner Arab problem effecting Arabs in their own towns,” said Zarbiv. She said the Arab minority gets scant coverage in the Hebrew media and that it is mostly negative, concerning terror attacks, controversial statements by Arab MKs and how Arab violence and crime impacts Jews. Zarbiv also praised Singer’s coverage of the incident in the Negev’s Beduin village of Umm al-Hiran last January in which a policeman, Erez Levi, and a Beduin driver, Yacoub Abu al-Kaean were killed. While many journalists simply accepted the authorities version that Abu al-Kaean was a terrorist engaged in a ramming attack, Singer “was prepared to listen to other voices besides the police. He brought to the Jewish public another voice, the Arab Beduin citizens of Umm al-Hiran,” she said. “The average Jewish listener knows about Arab leaders who speak in a very militant way but he is not so exposed to what the people think about the reality in the country,” Singer said. “The intention is to present the Arab public in a fashion that is not through the security lens, not to view them as a security issue but as citizens living in the country, who are on the one hand citizens with rights and Israeli identity cards and on the other hand belong to the Arab realm. “They come to work and to university and speak Hebrew and in the evening go home and watch television channels from their Arab realm. The program deals, among other things, with this duality, with the conflict of identities,” he explained. “The program doesn’t try to change reality,” Singer added. “It tries to explain reality to an audience that is very exposed to [anti-Arab] incitement by politicians and other media, with a lot of brainwashing. From all of the brainwashing people sometimes forget that there are humans who are very varied. “There is a reality that needs to be explained. You ask what pains the Arab, is it Palestine or the violence in Taybeh, Kalansuwa and the Galilee? Is what bothers him budgets or daily honor in work, school or the media? “Sometimes it’s not just money, it’s respect. I think a large part of the population doesn’t get respect,” Singer pointed out. 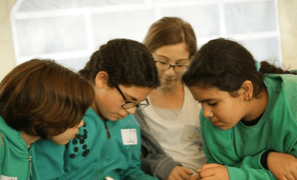 The program is active in 26 schools in the Haifa District. Zahalka said that the program is “very important for learning the spoken language correctly and in terms of the meeting between teacher and pupil and the falling away of stereotypes. It changes preconceptions. It’s an encounter with real acquaintanceship. “The teacher becomes part of the staff and learns about the other side and the pupil gets to know the teacher,” Zahalka added.